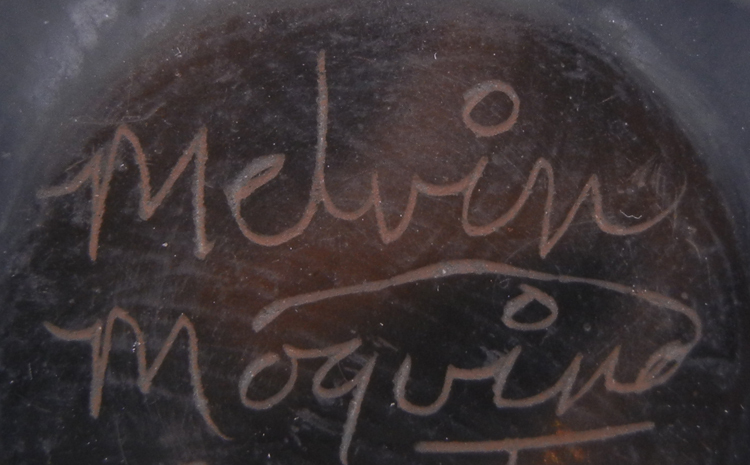 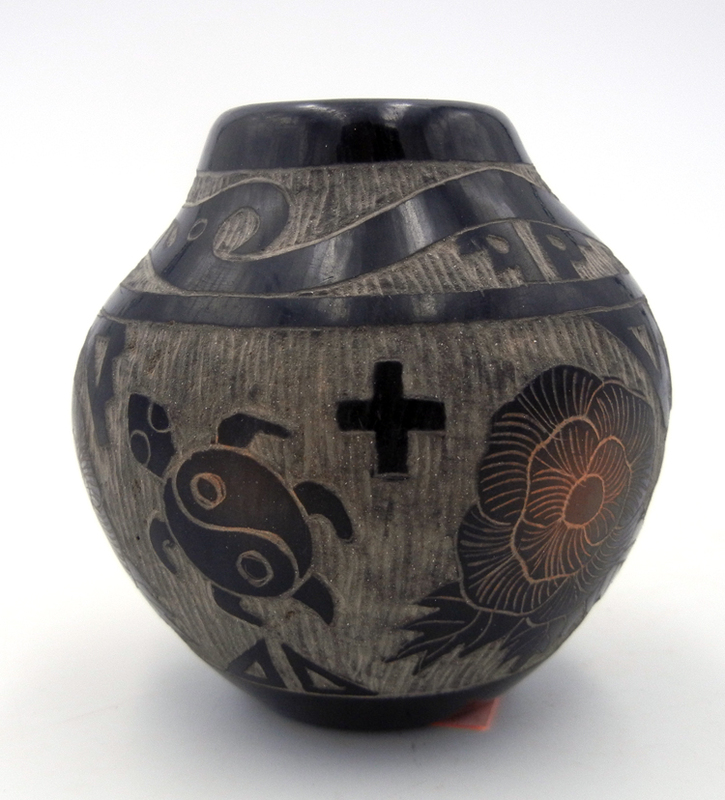 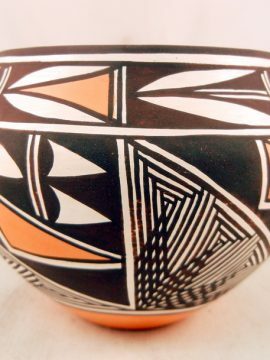 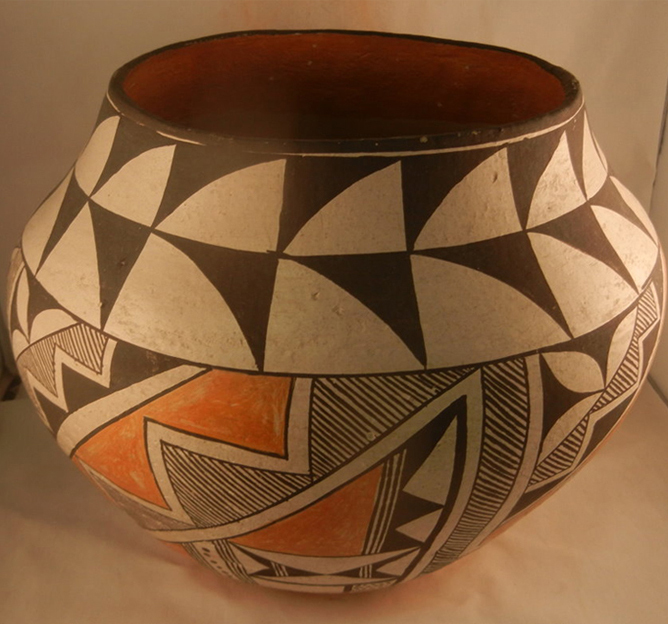 Santa Clara potter Melvin Moquino created this masterpiece of a jar employing the use of intricate sgraffito and black stone polish. 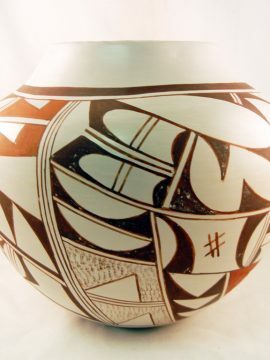 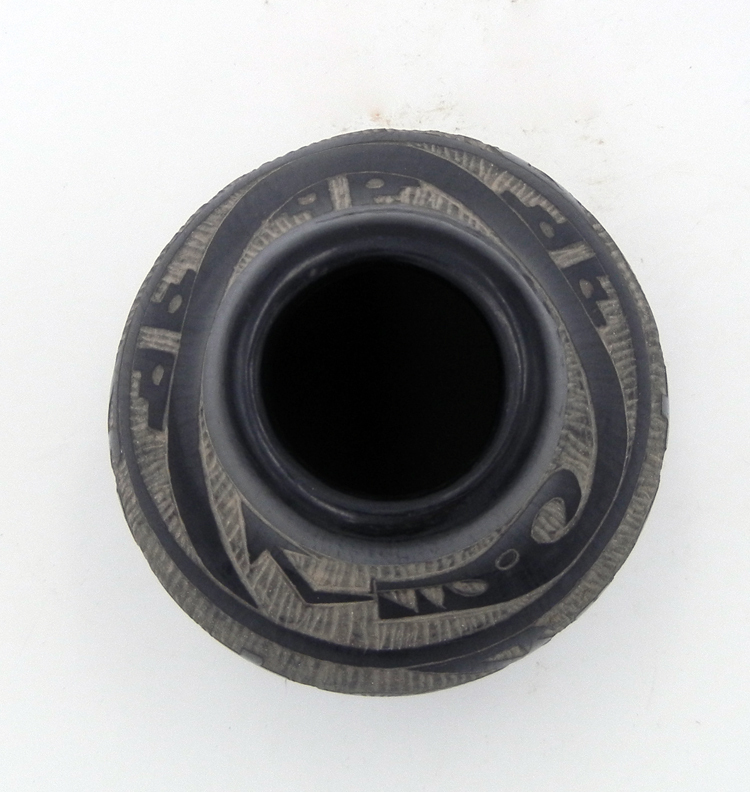 The piece showcases myraid traditional designs, including an etched avanyu serprent around the rim, followed by flowers and turtles alternating just below the inflection. 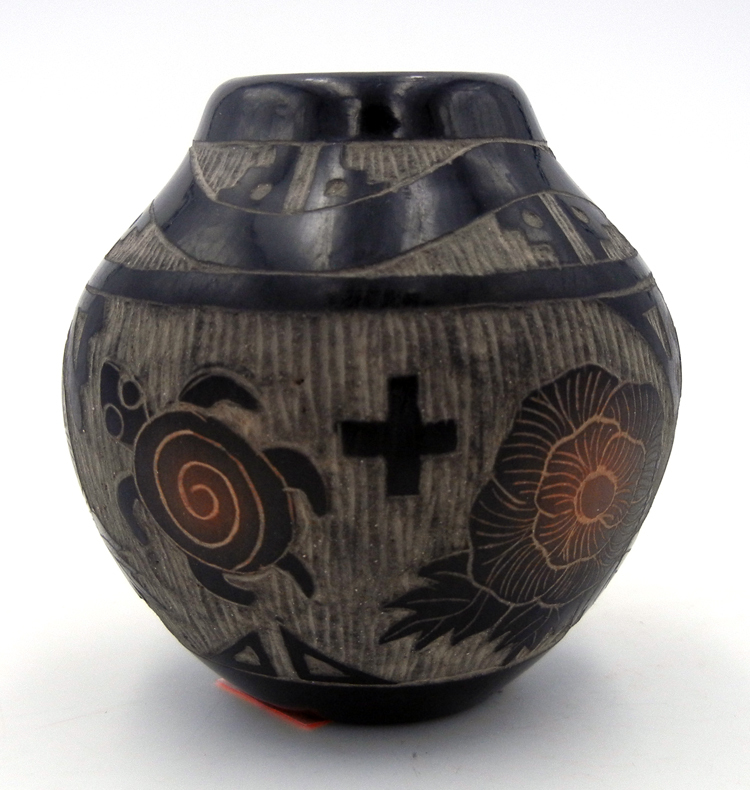 Crosses and step patterns finish the piece, with a lovely stone polish coating the black portions of the pot that have not been etched to show the grey color underneath. 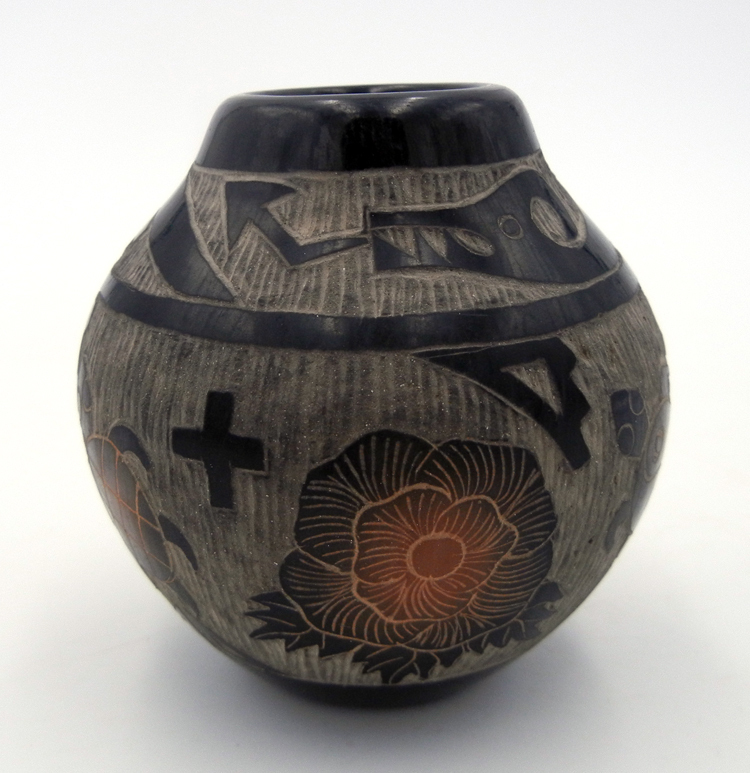 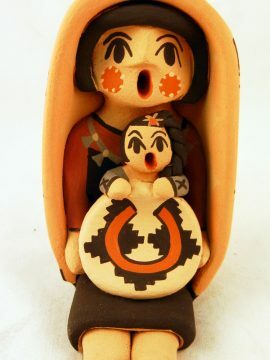 3″ tall x 3″ wide.